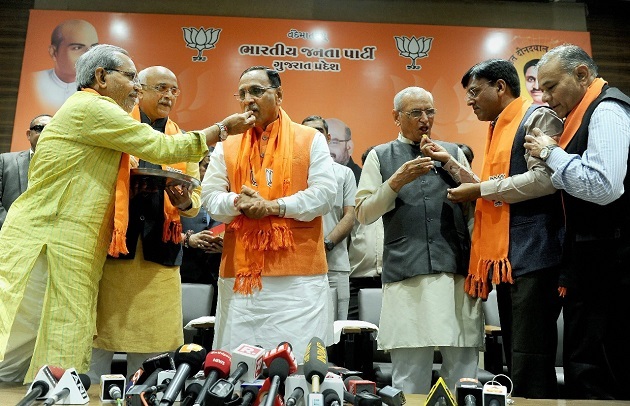 The BJP on Monday retained power in Gujarat, securing a simple majority by winning 92 seats in the 182-member Assembly. It is leading in seven more, according to the Election Commission tally. The opposition Congress followed closely behind the long-ruling saffron party with 75 seats in the bitterly-fought election whose campaign saw a face-off between Prime Minister Narendra Modi and Congress president Rahul Gandhi. The BJP has been in power in Prime Minister Narendra Modi's home state uninterrupted since 1998. 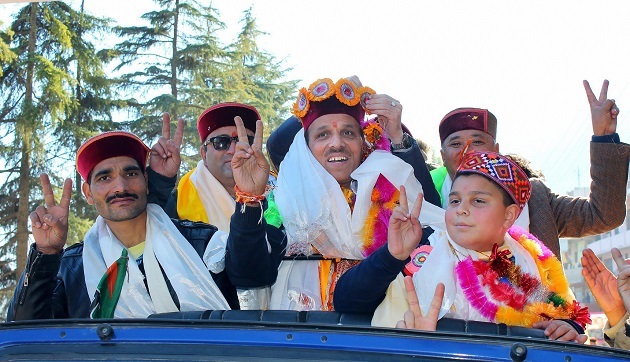 Apart from Gujarat, the party has also secured a massive win in Himachal Pradesh Assembly Election on Monday. 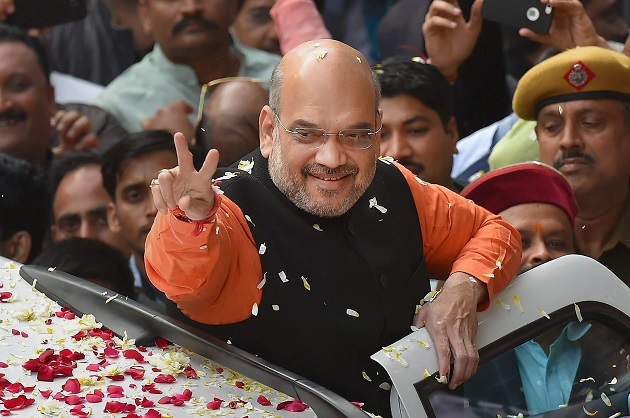 BJP president Amit Shah gestures while being welcomed on his arrival at the party head quarters in New Delhi on Monday, after the party's victory in Gujarat and Himachal Pradesh assembly elections. 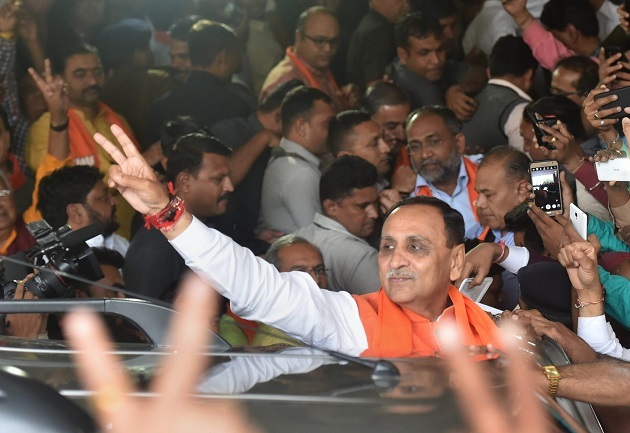 Gujarat Chief Minister Vijay Rupani shows victory sign as he arrives to participate in the celebrations, after BJP's win in the state assembly elections, at the party office Kamlam, Gandhinagar on Monday. 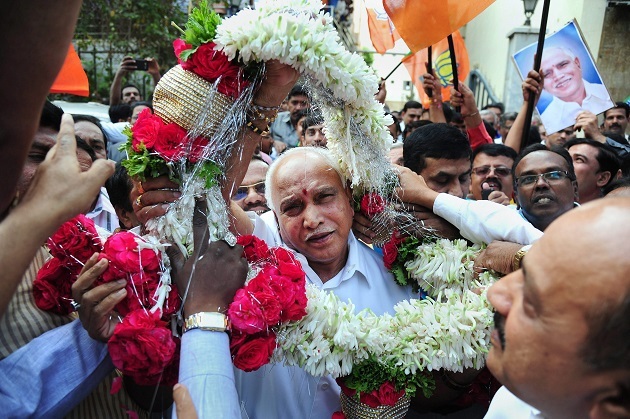 Karnataka BJP president BS Yeddyurappa being garlanded by supporters as they celebrate party's victory in Gujarat and Himachal Pradesh Assembly Elections 2017. The state Urban Development and Housing minister Madan Kaushik and Uttarakhand CM Trivendra Singh Rawat celebrate after BJP's win at state assembly elections at party head quarters on Monday. 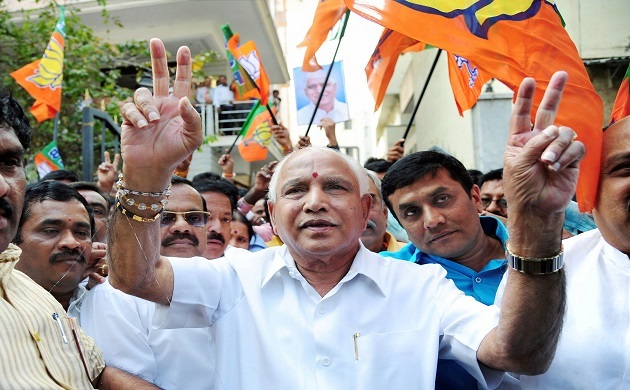 Karnataka BJP president BS Yeddyurappa flashes victory sign along with his party members to celebrate victory in Gujarat and Himachal Pradesh election 2017. 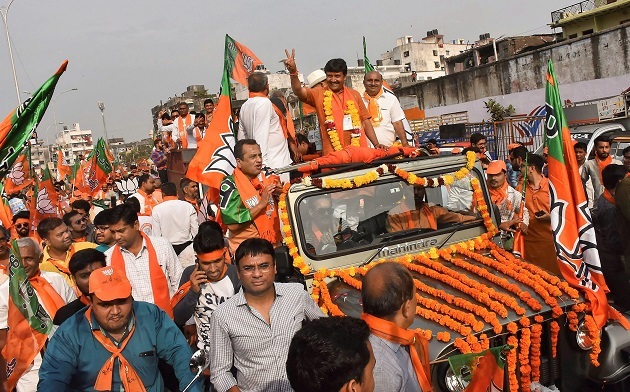 BJP candidate Vinu Moradiya takes part in a victory rally to celebrate his win in state assembly elections in Surat on Monday. 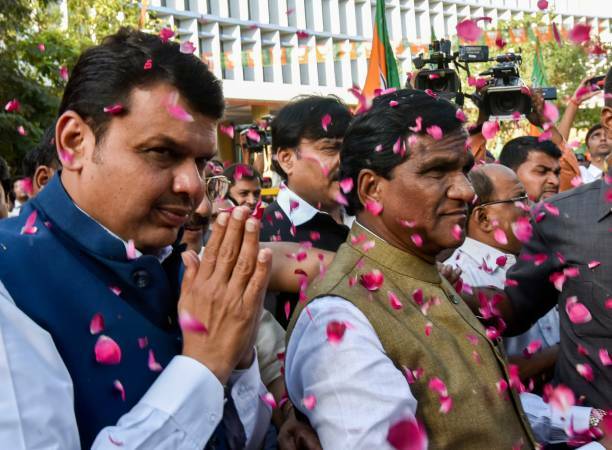 Maharashtra Chief Minister Devendra Fadnavis reaches party office to celebrate BJP's victory in state assembly elections 2017. 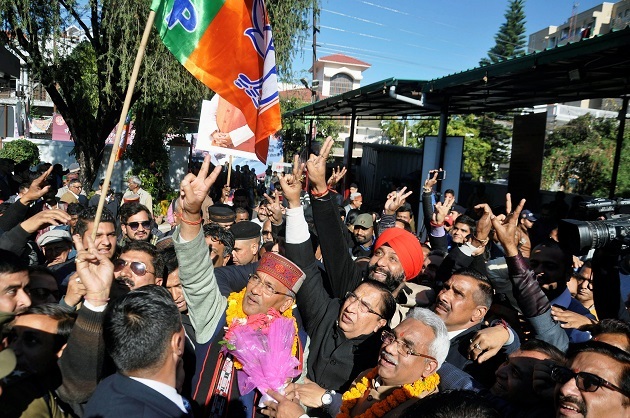 BJP members celebrate party's victory in state assembly elections in Kullu on Monday. 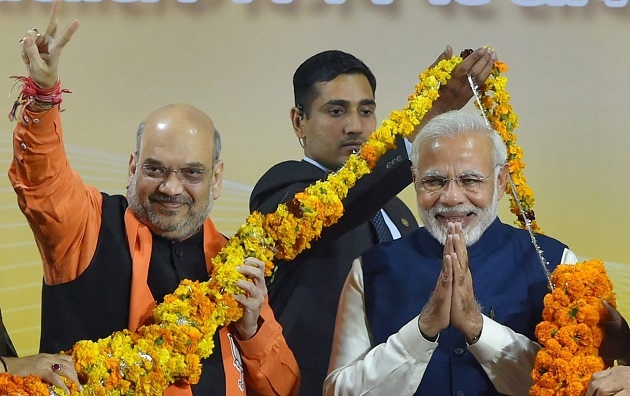 Prime Minister Narendra Modi and BJP president Amit Shah at a felicitation function in New Delhi on Monday, after party's win at Gujarat and Himachal Pradesh Assembly Elections 2017. 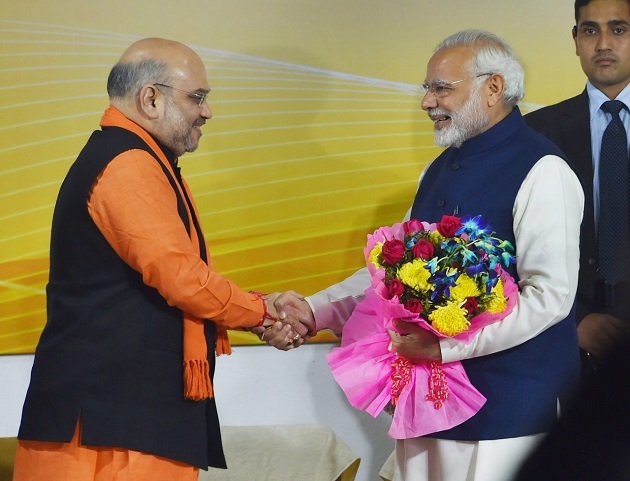 Prime Minister Narendra Modi being greeted by BJP chief Amit Shah at the felicitation programme in New Delhi on Monday.